Be the first to share your favorite memory, photo or story of Stefan . This memorial page is dedicated for family, friends and future generations to celebrate the life of their loved one. 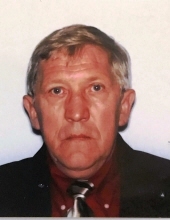 FEDOROWICZ – Stefan Fedorowicz, 71, passed away unexpectedly on October 28, 2018. He was the loving husband of Maria (Wolska) Fedorowicz for 50 years. Born March 17, 1947 in Lomaza, Poland; the son of the late Stefan and Felicija (Dobrowolska) Fedorowicz. Stefan worked as an Engineer for PKP railroad in Kielce, Poland for 23 years and then as an Electrician in the United States for 26 years. In addition to his devoted wife, he is survived by his children, Martin Fedorowicz and wife Michelle of Winsted and Beata Pason of Poland; grandchildren, Devin and Emily Fedorowicz, both of Winsted and Michael and Patryk Pason, both of Poland; two brothers, Andrzej Fedorowicz of Poland and Kaz Fedorowicz of Winsted; and three sisters, Danuta Skupska, Barbara Wnorowska and Teresa Rybnik, all of Poland. Friends may call on Saturday, November 17, 2018 at Montano-Shea Funeral Home, 922 Main Street, Winsted from 2 – 4 PM. Burial will be held at the convenience of the family. Visit an online guestbook at Montano-shea.com. To plant a tree in memory of Stefan Fedorowicz, please visit our Tribute Store. "Email Address" would like to share the life celebration of Stefan Fedorowicz. Click on the "link" to go to share a favorite memory or leave a condolence message for the family.